News out of the Japanese arcade market has been a little slow this year compared to years previous. So today’s news about Taito coming back with something is welcome to see. 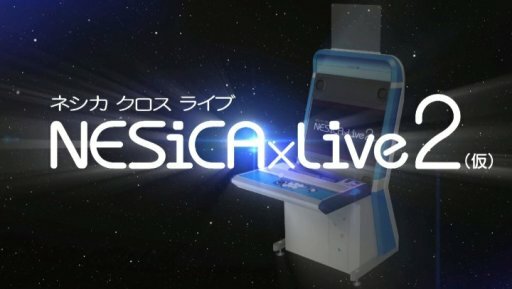 NESiCAxLIVe was created by Taito a few years ago to provide downloadable games and content to the arcade sector in Japan. Think of it as Valve’s “Steam” for arcades. Thanks to the easy way in which content could be obtained, it provided a platform for Japanese arcades to get their hands on many titles that they may not have bought otherwise. This system has seen a very limited release in America, Round1USA being the only company to get an official version of the game operating. News about new NESiCA titles has been sparse for a while now and apparently the reason is that Taito has been working on a new, more powerful version of the system. 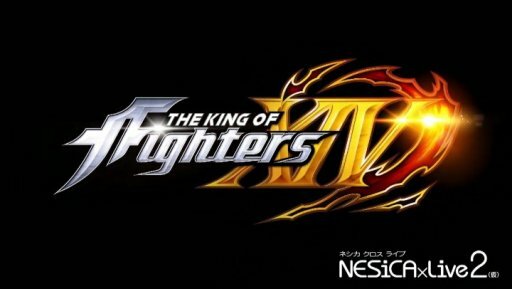 Simply called NESiCAxLIVe 2, the new system will presumably include more powerful hardware (Taito Type X3 or perhaps even more powerful), and it also will have SNK’s The King of Fighters XIV as a launch title. The new platform will be available in Japan Summer 2017. More info over at 4Gamer.net. While it isn’t exactly what I think that arcades would want, Street Fighter V will finally get a release to arcades but in a rather odd way. Event Hubs is reporting that the game will be offered in “kiosks” running the PC build. I’m not really sure why Capcom is going this half-hearted route – they have an arcade division which is responsible for games like Luigi’s Mansion Arcade and Cytus Omega. Granted, I’m one of the few that would prefer to see something like a Street Fighter V Arcade Edition that permanently stays in arcades but that’s not what the fanbase wants so that fanciful thought is out the window. Chances of these developments reaching widespread use outside of Japan are slim but Round1USA has installed NESiCAxLIVe so chances are that they will be able to offer NL2 on our shores sometime next year. What do you think about this? NESiCA is the worst thing ever happened to Arcade, because of his “Japan only” lockout. No latest Blazblue, no Ultra SFIV, no Nitroblasterz, no Aquapazza, no Persona 5 Arena, no Yatagarasu, no Crimzon Clover arcade ver… hell, even no Skullgirls on arcade and is an american game!! also I hate the Sega All.Net system: No Guilty Gear Xrd and Under Night In-Birth. We’ve had discussion about NESiCA in the States but it often boils down to getting the costs right. Round1USA figured it out but fighters in general don’t get a lot of attention here because operators need something reasonable to make their money back on them. Granted, if there were kit only releases of those game in the US around the $2000-$3000 mark, I think they would manage. Sadly Taito and Square-Enix doesn’t want that, they are also afraid after what happened to Type-X1/2 with pirated dumps working on normal PCs. Believe me: I’m not from the US, but here in Chile there are at least two game centers who doesn’t have a problem paying 3k for the latest Blazblue title… but nope, you can’t, and I really hate that. What they believe in is certainly a blow in preventing arcade communities from thriving outside of the asian territories. I’m thinking it’s long overdue that the US industry needs to step forward and publicly accuse Japan of doing this so bluntly. As far as Street Fighter V goes it’s the Vocal Minority that does not want a full Arcade Release. I for one definitely want it as I have been playing since SF II was new and I was in the LA Arcade Scene. SFV PC kiosk’s is pretty lame since they already have places semi public where people gather to play it in japan. Typical contemporary Capcom move as half-assed as they are these days. Hello my name is Franklin Onate from Ecuador! Please I have the videogame machine business for more than 20 years! I have the distribution in Korea of the Company Andamiro Dancing machines! I need to buy 5 Kit Game KOF XIV Arcade Version system. I need to know if it is possible to buy. I wait for your help with the price.